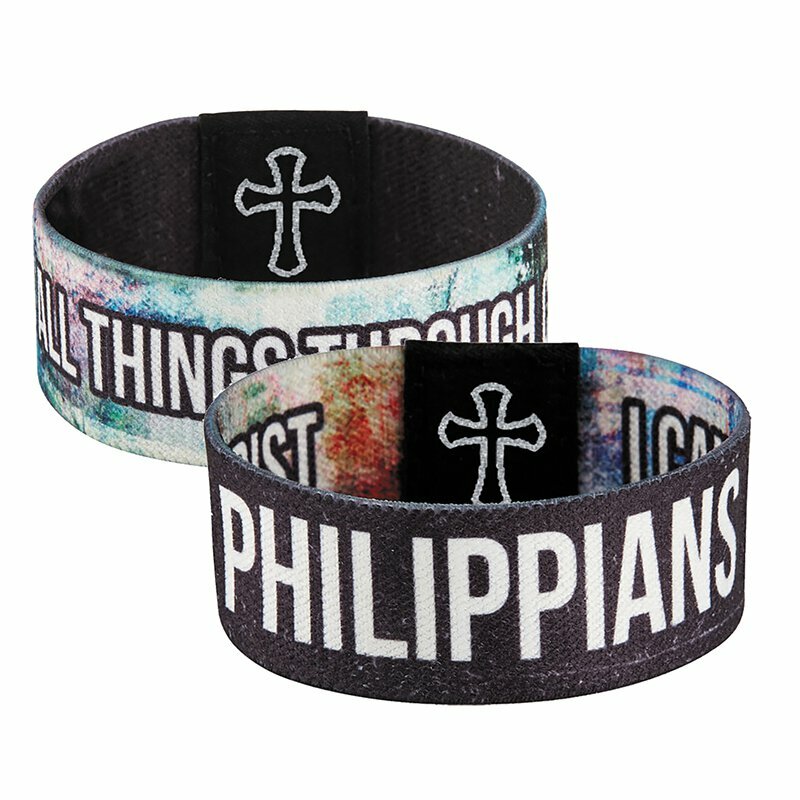 This cool reversible bracelet features the Bible verse Philippians 4:13 and the wording "I Can Do All Things Through Christ." 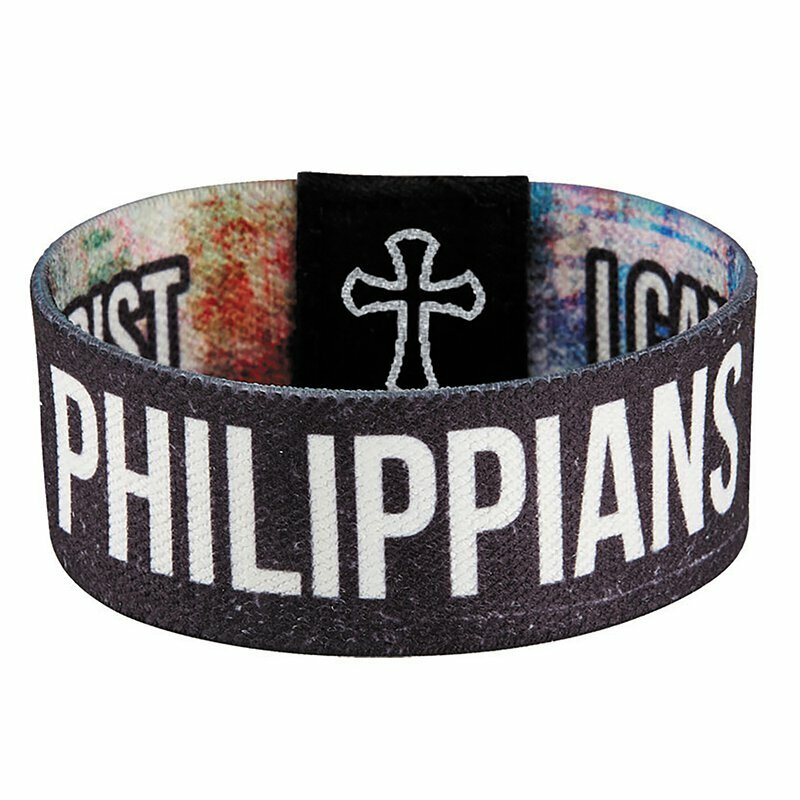 Stretches to fit a variety of wrist sizes and great for tweens and teens. 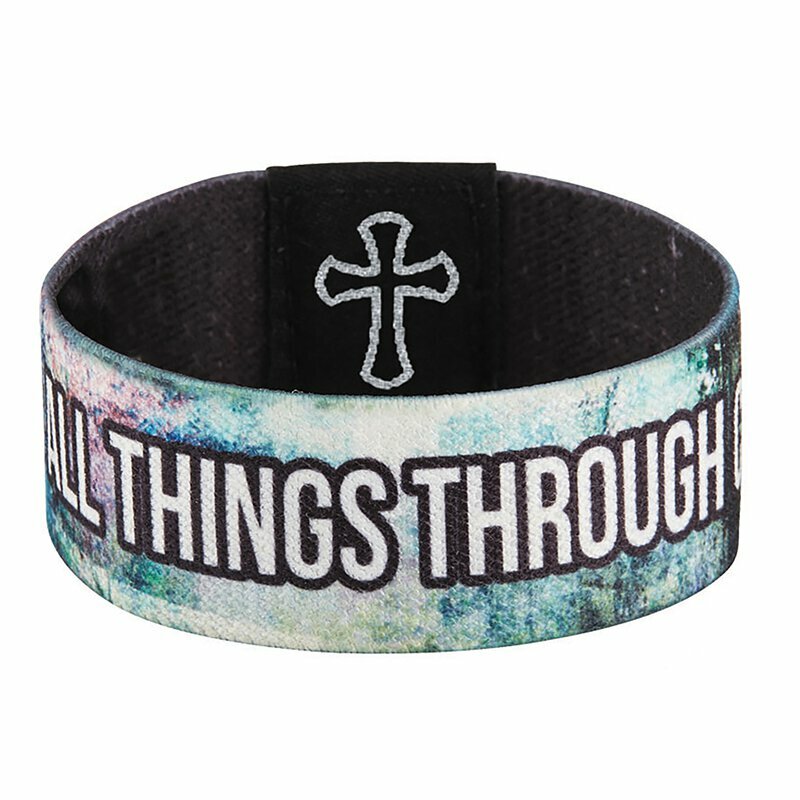 It's like getting two bracelets in one!